Malaysia Office Automation / Penang Office Automation. 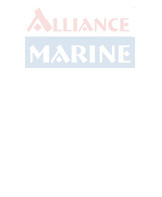 Alliance Marine Office Automation Sdn Bhd / MOA, established in 1997, brand “MOA” Time recorder from Alliance Marine Office Automation Sdn Bhd to ensure our product quality and marketing acceptance. In 1997, Our management team launched our own product lines to serve the market need with most largest supply. Since then, MOA has progressively been well accepted by all corporate, private, and government sectors, we are the market leader in manufacturing quality Time Recorder. In 1999, we has been built a manufacturing factory in China, as well where we have a showroom to display our full range of Time recorder for customers to review. We offer an "One Stop Solution" by creating an easy, trendy and multi-function products range for our clients. Our unparalleled devotion and commitment towards our clients has been succeed to make an increasing clientele list from domestic and even international markets.